I’ve recently joined a couple of really rocking networks for writers, and wanted to tell you about them. So I am. 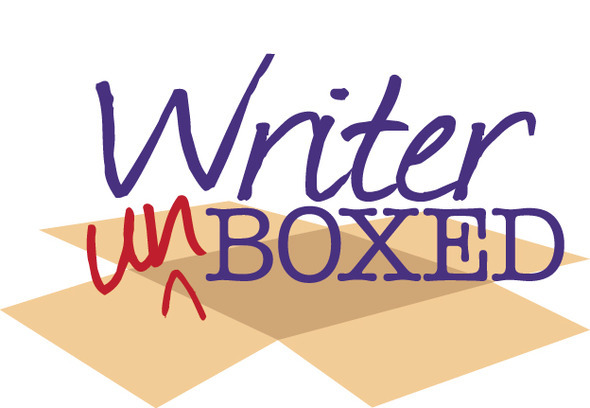 I’ve long been a fan and reader of the Writer Unboxed website / blog, founded by Kathleen Bolton and Therese Walsh. But recently I joined the Writer Unboxed Facebook community. The website has a monthly roll of contributors, so is well worth reading, while the newsletter is excellent, and includes additional articles on writing from some top names in the industry. June’s newsletter just arrived in my inbox this morning, and contains an article supplied by Donald Maass, author of one of my favourites – How to Write the Breakout Novel. He’s soon coming out with a new book – Writing 21st Century Fiction. Other articles in the newsletter are also a good read. The social media aspect of Writer unBoxed is what freshly drew me in. I’ve long had the twitter stream for Writer UnBoxed on my twitter apps, but recently joined the Facebook page also. This is by approvals only – but they are very quick at approving. Once in, you have access to add your details to a growing list of writer’s social media links – Facebook, Twitter, blogs, and even a Pinterest list. Of course, Facebook and Twitter have their limitations for connections – users end up reaching the limit of Twitter or Facebook follows, but Writer unBoxed provides a really connected community. Each day the discussions roll down the feed on the Facebook page, and at any given moment you will probably find somebody else on there. Kristen Lamb has a huge following under her blog which provides writing and marketing / promotional and social networking tips for writers. She has defined a niche much needed in the new age of writing and publishing. Her #MyWANA hashtag and derivatives are incredibly popular as a community on Twitter also. WANA stands for We Are Not Alone, the title of Kristen Lamb’s #1 best-selling social media book. It was only a matter of time before the WANA concept was taken bigger, and in a blog post announcement today, we have just that. 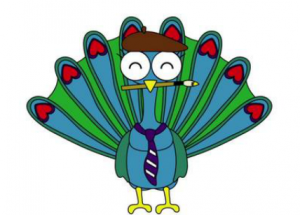 Now WANA has a mascot and colourscheme based on a peacock, and a couple of logos for the two new areas released to the public today. WANA International is a website which provides a large range of reasonably priced courses – technical, craft, business, lifestyle and social media classes – available as online webinars on various days and times (I need to convert to work out if any are doable in my own agenda). Founded by Kristen Lamb and Ingrid Schaffenburg, the site promises a joint mission of artistry, voices and inspiration. WANA International. WANATribe – this community site is built on the Ning platform. You can pick up the invite link from Kristen’s blog post (above) or other members can also invite you in freely – give me a shout if you need the invite. This is a fullout Ning network. As soon as I joined up I was presented by the chat mainroom and users online popups from my task bar. WANATribe.